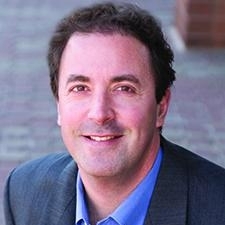 BRAD GREENWALD is the Managing Partner of Hilltop Venture Partners, a venture capital firm that invests in and develops early stage service ventures and consumer product businesses. Greenwald brings over 25 years of progressive experience in launching and managing startup and corporate businesses. He has an extensive background in service and telecommunication businesses. Greenwald is an adjunct professor in the University of Denver’s Daniels School of Business focused on teaching strategy and entrepreneurship programs in the executive MBA program. He serves on the Jewish Community Foundation Investment Committee and is a former board member of Oxfam America, Food Bank of the Rockies, and Cooking Matters. He was a 2000 Crown Fellow at the Aspen Institute. Greenwald received the 2006 Share Our Strength National Community Leader Award.